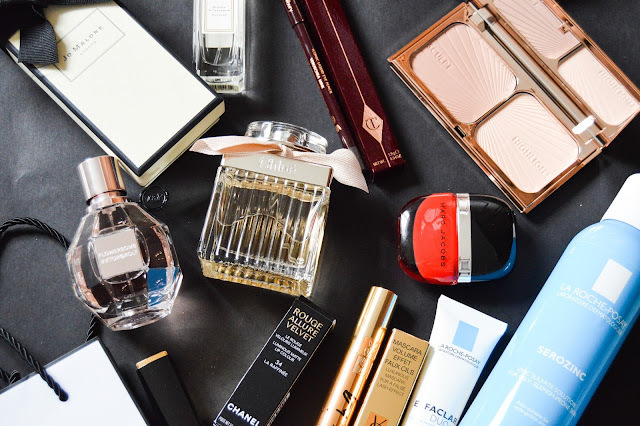 Jumping on the bandwagon, I’ll be chatting through the beauty items I received for Christmas. I’ve focused on beauty, as you guys don’t really need to see chocolates and trinkets. Beauty is what you guys are here for! 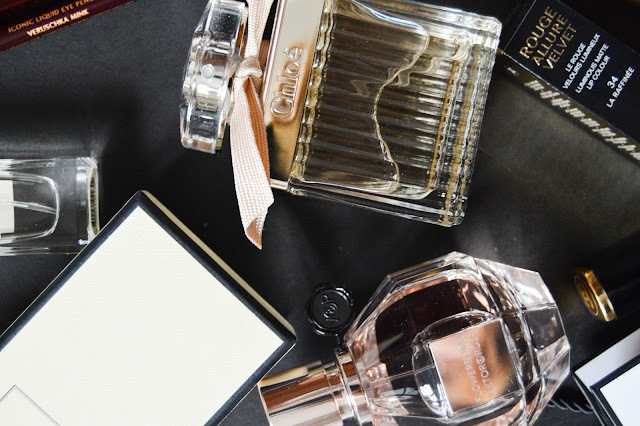 I'll start with perfumes as I received three this Christmas, two which are my old favourites and a new one from Jo Malone. Rhys bought me the larger size of Chloe, I think this perfume is so sophisticated and not too over-powering, it's a fragrance I'll never get bored of. Viktor and Rolf Flowerbomb is another long serving favourite of mine. I always wait until my birthday or Christmas to get this as it's a little more expensive. It's well worth the money, I always get compliments when wearing it. Lastly, on the fragrance front is Jo Malone's Mimosa and Cardamon. While travelling last year, I visited my first Jo Malone store and fell in love. I just love the luxury experience you have while shopping there, from the customer service, right down to the black and white, ribbon tied boxes. The Mimosa and Cardamon really stood out to me, not too floral or sickly, it's a little more on the masculine side. I was happy to be restocked on two of my La Roche Posay favourites; Efflaclar Duo and Serozinc. Both help tackle my acne-prone skin, I've recently over indulged on Christmas goodies and my skin is telling me to stop. These two products combined will help my skin get back on track. Charlotte Tilbury was high on everyone's Christmas list this year, and for good reason, the products are so luxurious. I'm over the moon I have finally got my hands on the Filmstar Bronze and Glow compact. I also received her Rock 'n' Kohl liner in Veruschka Mink, a smokey grey. It's a creates a mesmerising smokey eye, without closing the eye in like many black liners do. From reading beauty blogs, it seems that Chanel's top product is their lipsticks and it's mascara for YSL, so I'm really happy to get my hands on both. My sister did some subtle questioning to find out what shade I'd go for in the Chanel lipstick. I have the Rogue Allure Velvet in La Raffinee, it's stunning soft pink with a brown undertone. It just feels so luxurious, it even has a fancy open and closure, you press the double C's at the end of the tube and it clicks open and the black case slides off. Little extras like that give me satisfaction! Talking of luxury packaging, the YSL Shocking mascara is beautiful, with it's super sleek gold tube. I'm hoping for big fluttery lashes from this product. Last on the high-end beauty front is a Marc Jacobs Nail Polish in Lola. This was purchased by my aunt on our trip to Barcelona, as the UK don't stock his beauty line. The red has a touch of orange to it, making it a striking, summery colour. I always ask for a few books for Christmas, this year I received Lisa Potter-Dixon's Easy on the Eyes. I follow her on Snapchat have fallen in love with her quirky and happy go lucky personality. She looks after Benefit makeup so I'm expecting some creative visuals and pretty step by steps. Another makeup artist that I admire and follow religiously is Lisa Eldridge, she is so knowledgeable about the cosmetics industry. Her book, Face Paint, promises to show the history of makeup through the ages, something I'm very interested in. I think I'll love it too! I've only flicked through but the visuals are amazing. I'll let you know! Lovely gifts. The Marc Jacobs shop has limited stock of the makeup line (really limited) but it's coming to Harrods later this year. I can't wait to see it properly :). Sephora on holiday is always such a rush. Ooooh I didn't know that! That's exciting, I've been eyeing up the lip liners. Yes, I'm going to smell fabulous haha! I'd love to visit the stand alone store. The products are well worth the money! You can't go wrong with La Roche Posay! Thank you Ciara, that means a lot! Thank you Gemma, I need a revamp on the blog and loved this one. You got some amazing presents hun, Charlotte tilbury, Victor and Rolf flowerbomb and Jo Malone are total winners! 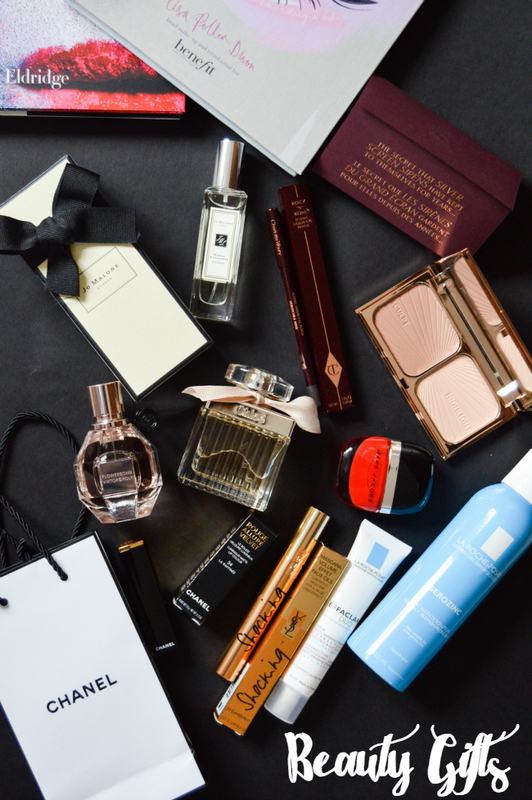 Girrrrrrl you got some incredible beauty presents! Loving the CT bits, looking forward to seeing them featured on your blog! I'm dying to get myself a Jo Malone perfume, they all smell amazing! 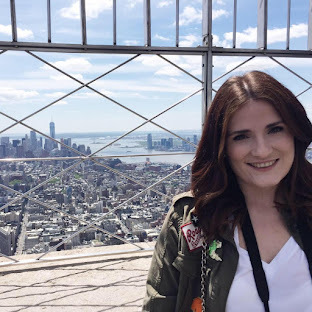 Love your blog btw! I'm thinking of comparing the Bronze and Glow to my other bronzers and contours. Thank you so much, means a lot! 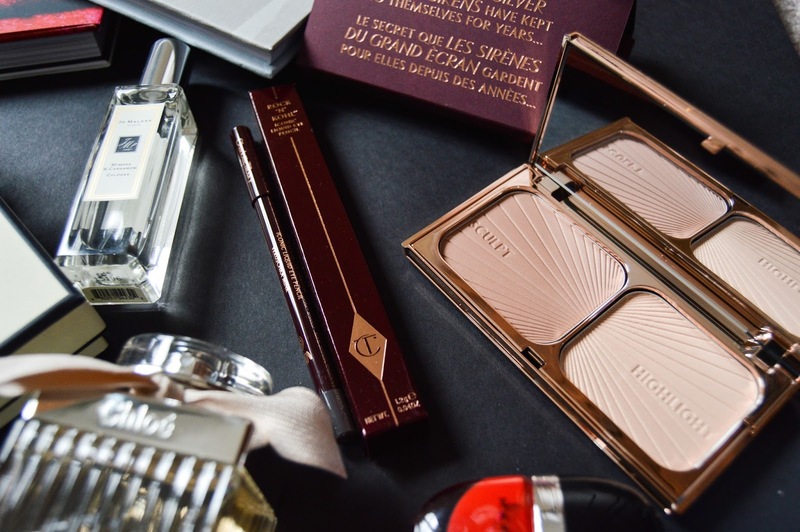 I love the look of the Charlotte Tilbury range and that YSL packaging is incredibly beautiful! !